Let's stroll, baby! 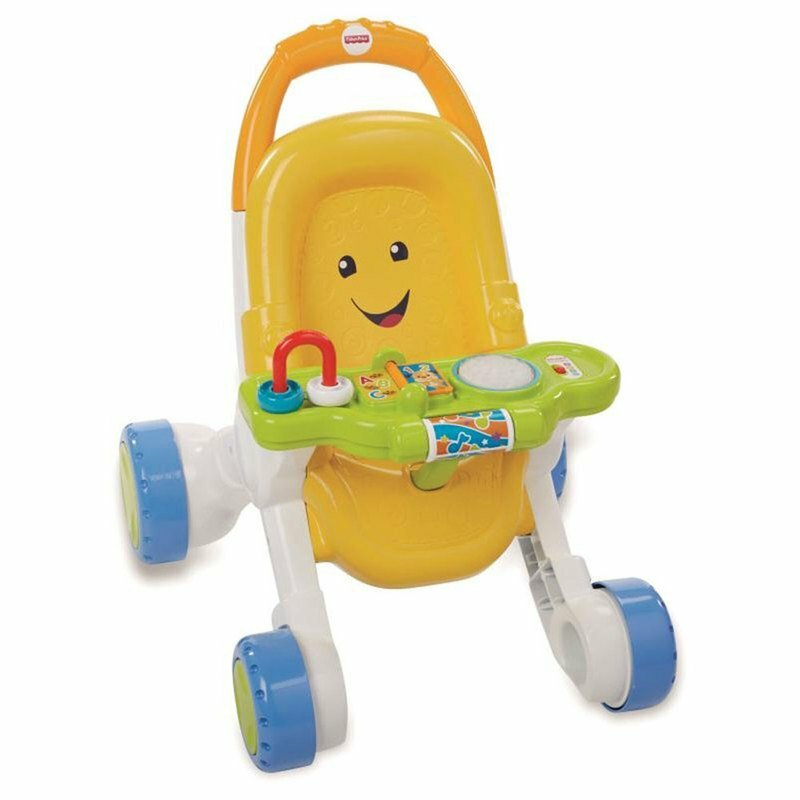 This stroller-themed walker helps steady your baby's first steps with encouraging songs and sounds to keep those little feet moving. The interactive activity tray offers exciting hands-on play that introduces little ones to colors, shapes, numbers, and more. Plus, Smart Stages technology lets you change up the learning content when your baby is ready! Stroller seat sized just right for a take-along doll friend! Academics: Playful songs and phrases introduce the alphabet, counting, colors, Spanish, and more. Gross Motor: As your baby starts walking along, they're developing important gross motor skills like balance and coordination. Creativity & Imagination: The familiar baby stroller design encourages nurturing role play and imaginative fun as your little one pretends to be just like you!